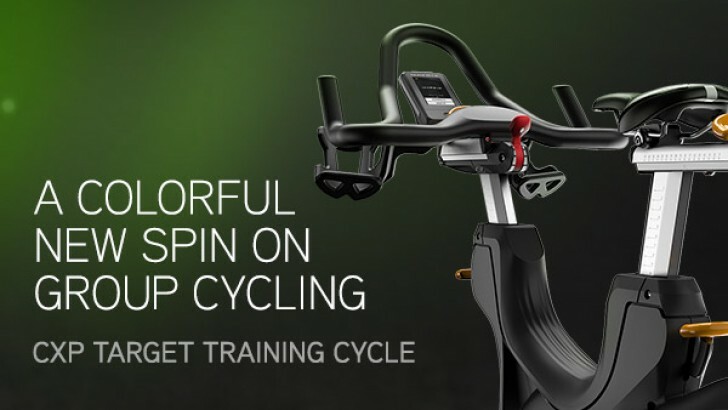 Attract more riders to your cycling classes and keep them coming back with our revolutionary CXP Target Training Cycle. 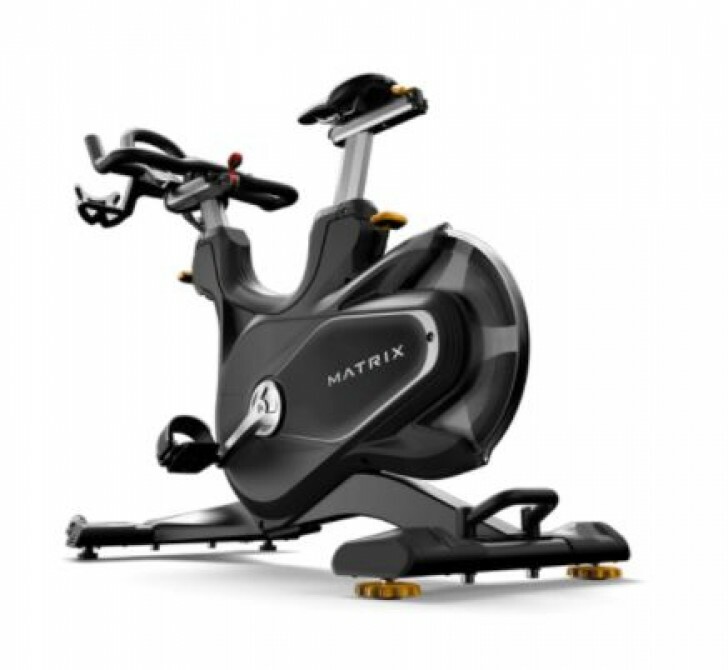 Only CXP combines refined ergonomics, superior comfort, streamlined serviceability and all-original programming with an LED wrap that uses vibrant colors to precisely gauge effort and keep everyone on track for their goals. That leads to tangible results for riders and enhanced engagement for you. 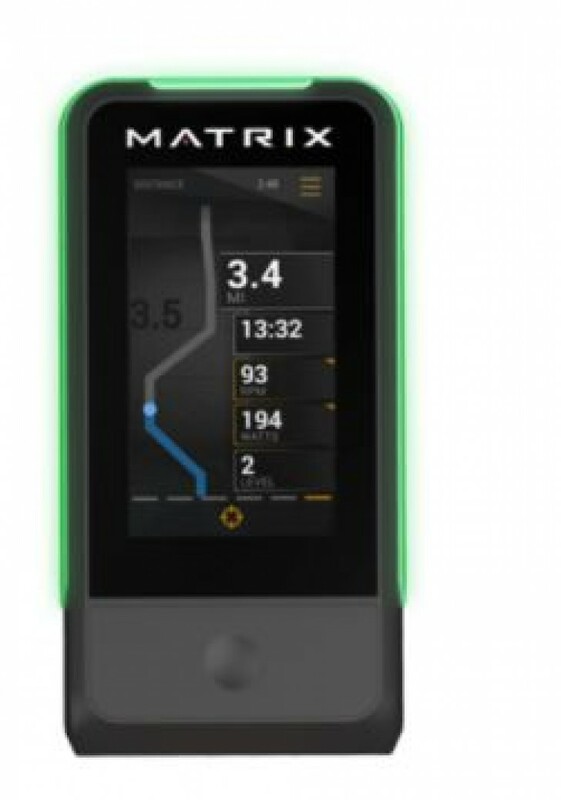 CXP includes a unique Target Training Display that uses engaging graphics and vibrant colors to motivate riders, track effort and keep everyone on target for their goals. 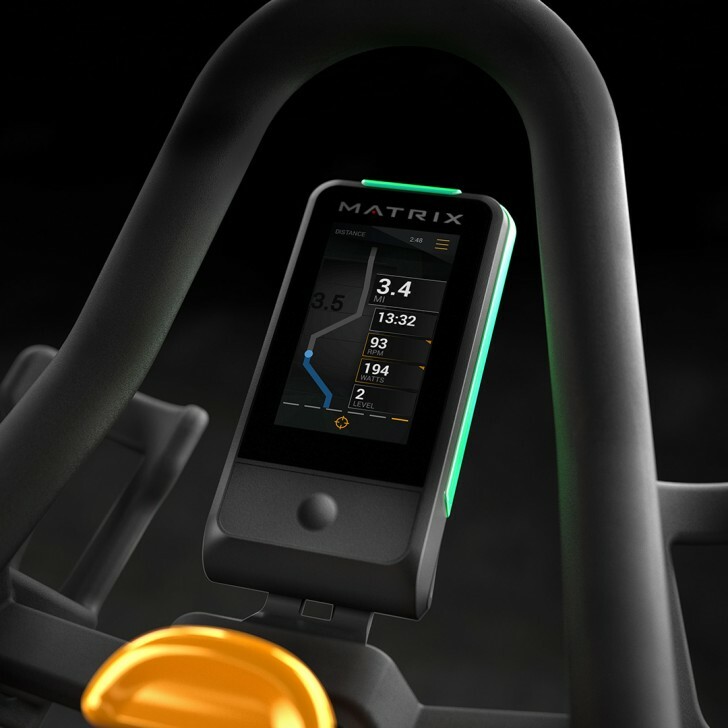 The LED wrap lights with three colors to express each rider's level of effort relative to their personalized metric target as the instructor guides them through different phases of their ride. 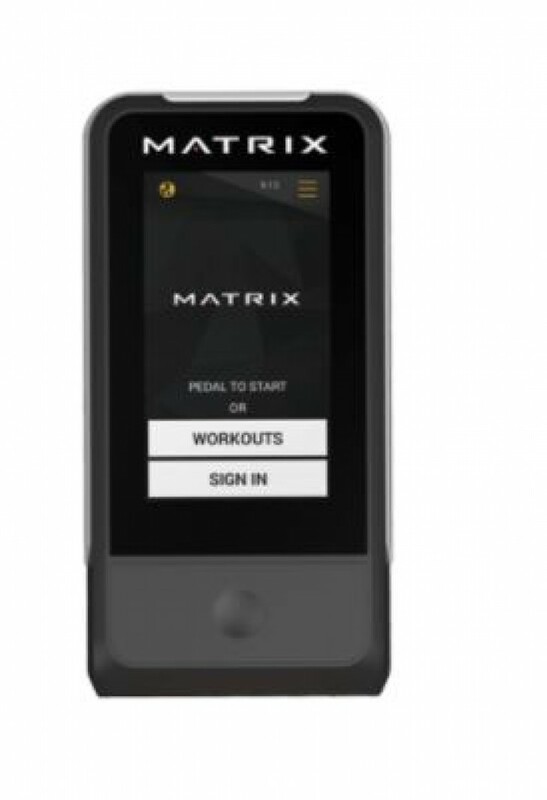 Integrated FTP testing and a sub-max heart rate test help members establish personalized targets just right for each rider's ability levels and fitness goals. 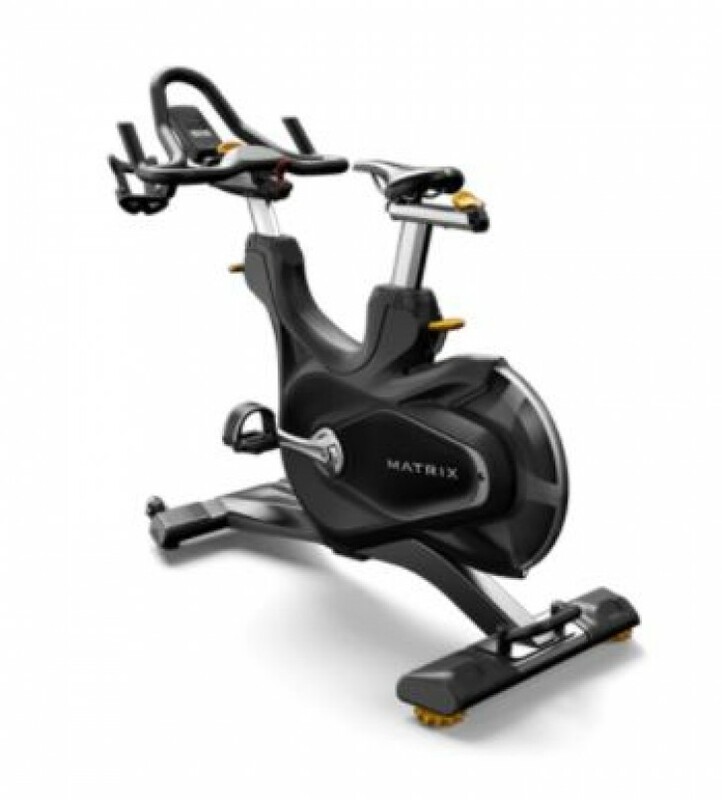 You can design classes that focus on watts, calories, RPMs, heart rate or distance, appealing to both serious cyclists and riders looking for an engaging group exercise experience. Low-maintenance, well-protected rear flywheel design includes magnetic resistance for smooth, consistent adjustments and watt measurement within 2% accuracy. Comfortable multi-position handlebars with an integrated water bottle holder simulate the different grips of real road racing. 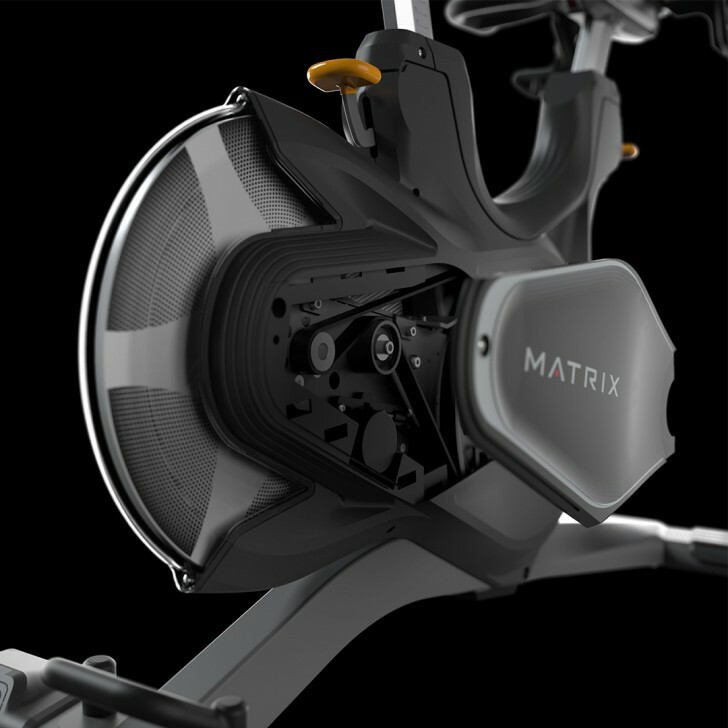 An ergonomically sculpted seat relieves pressure on touchpoints to make even long, intense cycling classes comfortable. Quick-release service panels, easily removable pedal cranks and clearly identifiable internal components make service easy for heavy-use facilities. Advanced ergonomics including a narrow Q-factor optimize the position of the hips, knees and feet to comfortably mimic a real outdoor riding experience. 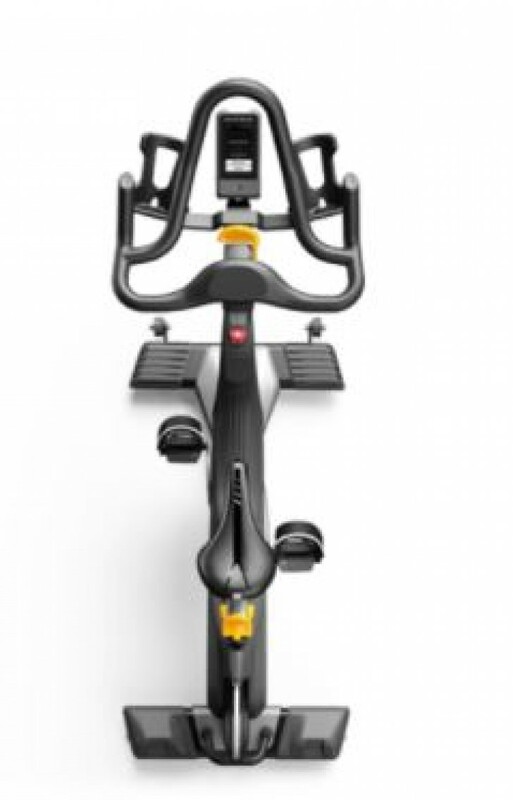 Intuitive four-way adjustment with quick-touch operation and easy seat-tilt makes customizing the cycle to each user’s body virtually effortless. Dial levelers make it easy to adjust the leveling foot after installation, maintenance or hard use without lifting the cycle. 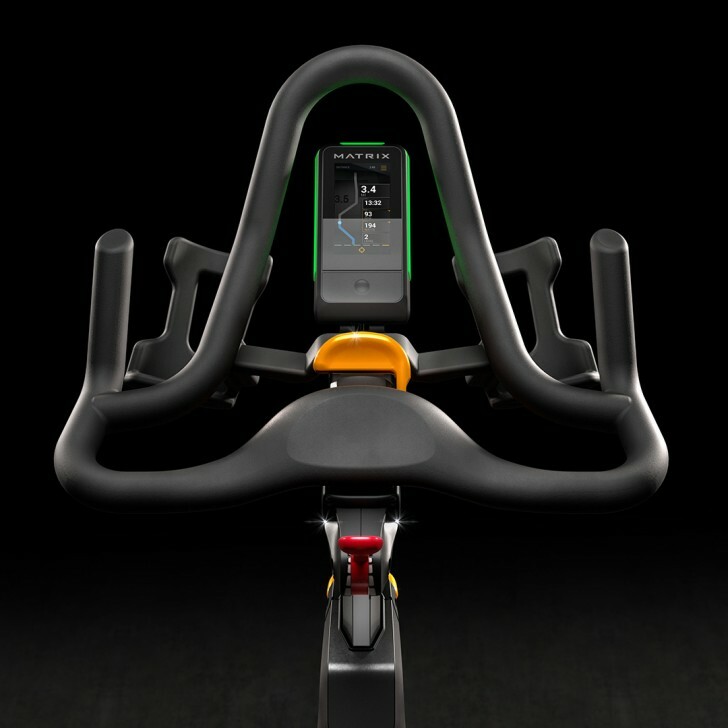 A contoured lever near the handlebars provides tactile feedback for quick resistance changes. Generator-powered Target Training Display with a vibrant touchscreen offers intuitive navigation, engaging graphics and a unique LED wrap that helps instructors and riders gauge effort with bright colors (compatible with ANT+ and Bluetooth). Forged steel pedal cranks include quick-adjust straps to help riders get strapped into an optimal position and started with one quick pull. 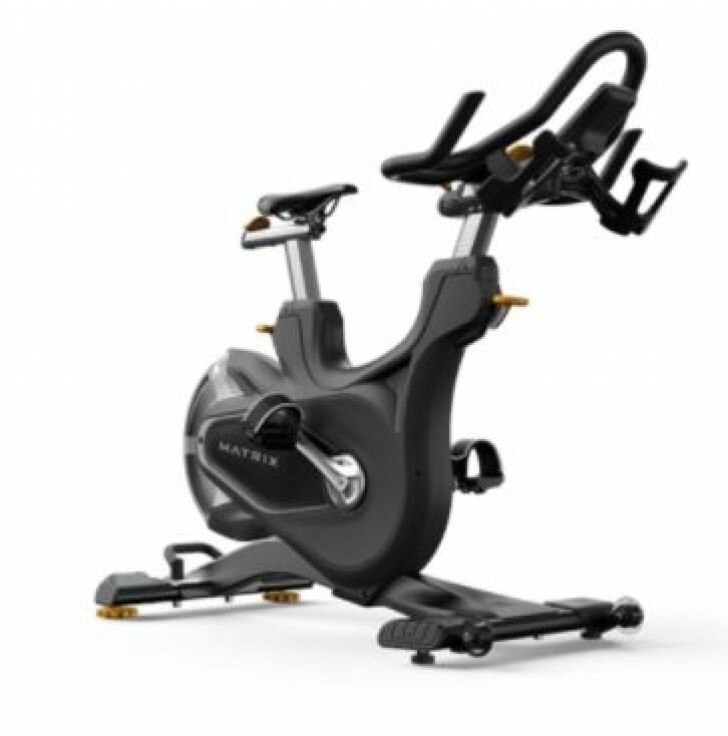 Unlike traditional indoor cycles that require two wrenches to tighten or level the seat, our design requires only one Allen wrench to adjust the seat to the optimal position. Dimensions	 122.4 x 56 x 102.8 cm / 48.2" x 22.2" x 40.5"
Maximum User Weight	 158.75 kg / 350 lbs. Total Weight	 57.6 kg / 127 lbs.